Driven by online travel technologies, the growth of WTM continues to be fairly staggering. The import of new technologies and players obviously be a central theme, not only for travel, but many traditionally brick and mortar business sectors. Many companies making their debuts in 2011 will turn to cutting edge and Hollywood aps and mediums to show off their wares. From 3D interactives like 3rd Planet, digital agency Fortune Cookie, and on to hotel room recommendation site Room 77, experts in digital marketing and strategy, and even hoteliers themselves will put on a show of social and digital might this year. New exhibitors from every continent where travel goes will be on hand to try and engage the industry. Organized by Reed Travel Exhibitions, the importance of WTM for generating news business cannot be overstated. Literally everyone who is anyone in the travel sphere will be represented here. Last year, it was estimated that deals arising from the WTM amounted to in excess of £1,425 million pounds sterling. As for the full list of attendees and affiliates, please consult the WTM site via the links above. Suffice it to say, everyone from RateTiger to Google and beyond is in London this morning. For your business’ best interests, stay tuned to the various outlets like Tnooz, Travolution, Travel Daily News, Travel Daily, and many more for what’s coming. 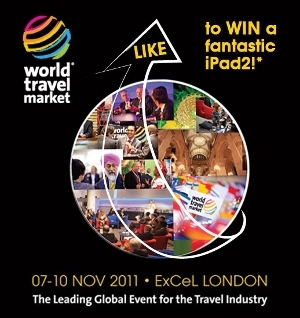 Here are the Twitter and Facebook feeds for WTM London, for those who want to interact.